Blurb: Zoe Grayson needs a change. So, she moves to another state, purchases an old, dilapidated 1920s Victorian Mansion, and sets out to restore it to its former glory. As she begins the restoration, she finds herself falling in love with the old house . . . not to mention its illustrious builder, Mr. Lancaster. Zoe becomes obsessed with the house as she discovers its secrets; hidden rooms, secret passageways . . . and a mysterious man who seems to think the house is his. Who is he? More importantly, how does he live in her home unseen and unheard? “I find it telling that you, yourself, knew you were losing your mental stability,” Doctor Channing said as he leaned back in his chair thoughtfully. “I see nothing of the sort.” Her tone was defensive. “No, I wasn’t the only one in the house,” she whispered. 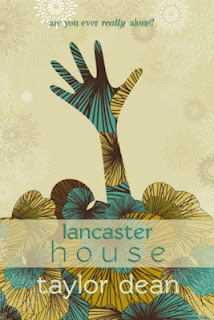 Thanks Chrystina and Jess, for featuring Lancaster House on your blog once again. You guys are great! Thanks for all of your support!